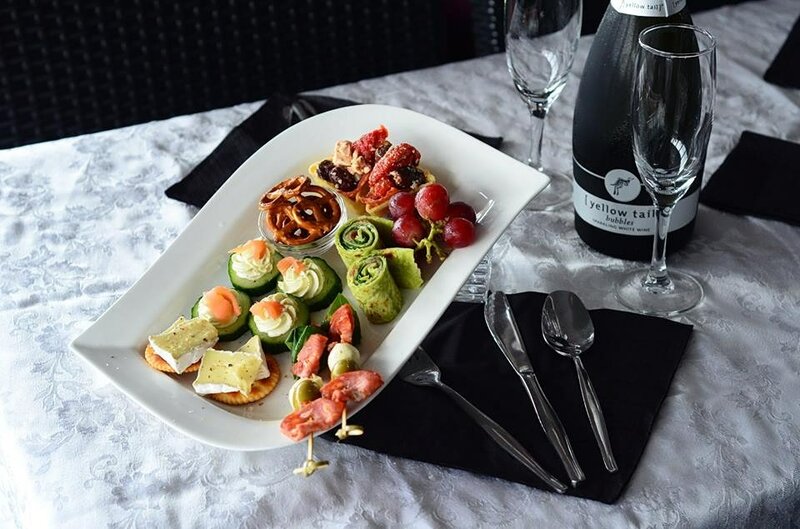 Sunset Cruise $65 with Shared Platters & Welcome Drink! A warm welcome from the friendly Captain and Crew as you board the Spectacular “Spirit of Darwin.” On arrival you will be greeted with a complimentary drink ready to set sail on a 2.5 hour cruise showcasing the magnificent tropical Darwin Harbour. As the sun goes down you will enjoy shared gourmet canape's made from fresh local produce, the perfect accompaniment to the spectacular view! The Friendly crew are ready and able to assist your every need. Relax and enjoy the unique experience the Spirit of Darwin has to offer! 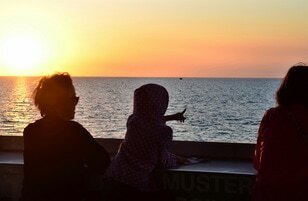 Let us show you why we are the longest running and friendliest Harbour Cruise in Darwin! As the Sun sets watch the sky light up in magical colours reflecting off the water and showcasing the coast line of Darwin in a way you’ve never seen before! This unique experience features amazing fish feeding from the bow of the “Spirit of Darwin,” where the Batfish of the Darwin Harbour meet the Boat to be fed. The Batfish come right to the surface within view and awe of all passengers on board to show off their magnificent selves! Some tours have been lucky enough to spot Queen Fish, Trevally, Barramundi and even Sharks! This experience is exclusive to the Spirit of Darwin’s Sunset Cruise’s Guests. Departing Stokes Hill Wharf at 5.30pm, the cruise allows guests to soak in beautiful views of the harbour, mangroves and city line in the magical early evening sun and to see the city lights from a whole new perspective. Do you have a Territorian Pass?